actionable insights, with the goal of creating highly targeted advertising campaigns. Data was once made up of compact pieces of insight that were easy to contain, but that's no longer the case. What used to be communicated in petabytes (1M gigabytes) has already reached the staggering level of zettabytes. IDC, a market-research firm, predicts that by 2025 the "digital universe" (the data created and copied each year) will reach 180 zettabytes. That's 180 followed by 21 zeros. It would take over 450M years to transfer that much information across a standard broadband connection. On top of that, the collected data is increasingly more complicated than its digital ancestors. Gone are the days where small pieces of data could provide a faceless consumer's gender, household income, and age; today's data can paint a complete consumer picture. At its core, big data consists of four key principles: volume, variety, velocity and veracity. Volume is the vast amount of data created every day. Marketers collect data in order to understand customer behavior and initiate conversations. The variety of data can be either structured or unstructured. Structured data represents information already present in databases or spreadsheets-customer transactions, for example. Unstructured data is information gathered from social media, email, video or product review. Currently, about 80 percent of available data is unstructured and requires complex analytics to become useful. 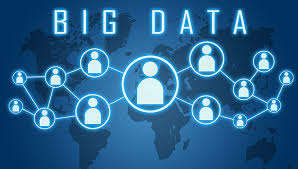 Big data, in conjunction with analytics, can deliver insights into customer locations, needs and contact information, helping companies identify and target potential customers. Personalized interactions can be built by converting customer data from social media, customer reviews and other sources into actionable insights that target customers' individual needs. By building long-term relationships, marketers create customer loyalty and identify preemptive customer defections. For example, Netflix's (NFLX) algorithm uses previous customer actions to drive real-time video recommendations. The proliferation of data can also provide insight into what influences customer loyalty. Companies can compare potential spending with current customer spending, which allows them to focus on acquiring high value customers. Additionally, through peer review systems and social media, organizations can efficiently target, grow and retain customers. In the this of digital technology, especially with Twitter (TWTR), and Facebook (FB), customer retention has slightly greater significance as a single negative comment can tarnish a business's reputation and result in customer departure. With 90 percent of data created over the past 2 years, big data and analytics pose potential opportunities for businesses to engage and acquire customers. Through analytics, companies can acquire high value customers and increase profitability. Relevant data can be gathered from social media, emails, transaction history and other channels. Marketers can build on this data, producing video banners, loyalty programs and other personalized, targeted advertisements for individual customers. While developing insight into large data sets can be difficult, analytics tools, such as Hadoop, provide effortless analysis, thus enhancing marketing strategies as well as the industry as a whole. - What consumers do when they wake up in the morning (which apps they check first on their mobile devices, what coffee they drink and where they bought it, what morning news shows they watch, how long they watch, and which commercials spark a web search, etc.). - Real-time updates from social streams and consumption (pages liked, videos watched, locations shared, companies they interact with, and more). - How long their morning commute takes (what car or public transportation they use to get there, what they eat for breakfast, and even which digital ads they see along the way). - What they do first when they get to work (how long they spend on emails, calls, or in meetings). And that's just the first three hours of the day. Common household items have already become data devices, collecting your preferences and habits. The world is moving ever closer to a time when all things are connected with sensors and digital memories, and every person will have a footprint, even when they aren't connected to the internet. All of this information will be stored in a cloud for extraction, refinement, and worldwide use. Paul Sonderegger, a big data strategist at Oracle says, "Data will be the ultimate externality: we will generate them whatever we do." Not only do we have a wealth of additional data available, it's now more accurate than ever before. With more data being self-reported, the accuracy of the insights marketers have access to is increasing exponentially. This will only continue to grow as more devices require user profiles and become more spatially aware. Learn more about what micro-data is here. Companies are quickly buying or building data refineries to sift through these new found waves of data. leases to provide enough space to dissect and better understand how to utilize the sheer volume of data available to them. storage devices holding 100 petabytes (that's 15 zeros tacked on) of data to their facilities for evaluation. and utilize the data they have access to. What's Next After Big Data in Digital Marketing? As the amount of available data continues to grow beyond human comprehension, companies are looking for ways to keep up. Many organizations are turning to Artificial Intelligence to sift through the data and complete the necessary vetting to return usable insights. AI uses algorithmic processes including machine learning, deep learning, and natural learning processing, to automate the overwhelming amount of information into something that companies can use to their advantage. These sorts of marketing tools are still in their early stages, but companies such as Amazon and Facebook, who have the capacity to filter through all of the data available to them, have proved to have an edge on the competition. While these companies use it to intelligently recommend products or shows based on their consumers' habits, they're also harnessing it to provide more precise audience targeting and measurable advertising results. The sheer volume of consumer data may seem daunting, but in an age where people expect a customized experience in all facets of their life, the increasingly specific insights will help advertisers personalize messages that will resonate better with potential patrons. It's been proven that targeted advertising not only leaves a stronger impression on a potential consumer, but also makes them more likely to convert and become a paying customer. As data facilities continue to improve, so too will our ability to effectively reach our precise audiences through big data-driven marketing strategies. This precision will equate to less advertising waste, and higher ROI for advertisers everywhere. Big Data is a revolutionary force in the professional landscape today. From education and healthcare to sales and marketing, big data has been a disruptive force across sectors. There's no denying how effective data analytics helps in the prediction of human behavior which is key to a successful business. Whether it's the consumer market or service arena, big data is emerging as a radical game changer businesses need to stay ahead of the pack and acquire more users for their product or service. It is here that we come across a pivotal question. What is it that makes big data so important? Why do process developers, marketers, entrepreneurs, and policy makers rely on it? A quick look at the following stats will shed some much needed light on this context. You will be surprised to know that web users generate huge amounts of data. If the current reports are anything to go by, the amount is no less than 2.5 quintillion bytes per day. With a whopping 3.74 billion web users existing at the moment, it isn't tough to imagine the amount of data generated every day. Data analytics unlocks new avenues and unique opportunities for the professional landscape. Quite naturally, marketers are trying their best to leverage these data sets thus discovering new ways of personalized interactions. In a nutshell, data analytics and big data can transform marketing to a great extent. Here's a brief account of how marketers are striving hard to make the most of it! Identifying consumer preferences and tracking their purchase behaviors can be highly beneficial for marketers. They will gain the opportunity to comprehend consumers' demands thus pitching in the right sales strategies. That's not all; if you are into marketing and wish to offer targeted products to your consumers, big data will help you develop specific processes too. That's the reason marketers across the world are turning to huge data sets generated by web users. With relevant information about consumer choices and preferences, marketers will gain the opportunity to strengthen their vision too. On that note, it's high time we take a look at the benefits of data analytics! As far as the sales and marketing sector is concerned, we will come across a multitude of Big Data use cases. A considerable amount, say 48% is all about customers analytics. Operational analytics account for 21% whereas Fraud & Compliance takes up 12% of the total analytics share. Since Big Data plays decisive roles in all these segments, it becomes imperative to analyze these benefits! 1. Improved marketing vision: Innovative marketers always work towards fulfilling their vision. They have targeted objectives for clients which help them create, develop, and incorporate effective marketing strategies. 2. Measuring campaign results: While creating marketing campaigns, marketers would like to measure their results and effects. Data analytics will make their job easier thus helping them measure the effectiveness of each campaign. 3. Identifying potential consumers: Every business needs to grow, and it is right here that dedicated consumers play the crucial part. You just can't expand your entrepreneurial venture without perfect support from potential consumers. Big Data can help in the identification of target audience who can take your venture forward. 4. Unlocking new avenues: Marketing and sales is filled with exceptional opportunities. One needs to identify these opportunities thus unlocking profitable avenues for further development. Data analytics will unravel new areas where proficient marketers can gain crucial insights into the existing scenario. These benefits state how big data can prove to be the next 'big' thing in the world of business marketing and sales. On that note, it's high time to discuss how Big Data can revolutionize this sector! Companies and businesses are striving hard to create strong relationships with customers. They are finding it imperative to create personalized strategies which are the keys to attracting potential audience. According to statistical reports, nearly 36% of B2C marketers are leveraging data to develop a better understanding of their audience. Since relationship-driven strategies lead to successful business expansions, marketers are utilizing these insights big time. A majority of companies derive maximum profit from their standard offerings. If you take a closer look at the market, you will come across interesting revelations. A whopping 75% of business revenue comes from standard and popular products. That explains the significance of pricing optimization at consumer-product level. It's here that Big Data introduces the concept of dynamic pricing where the consumers' 'willingness' to make a payment is taken into account. Dynamic pricing empowers personalization and convinces your consumers. They will know you care about them, understand their needs, and can put forward profitable opportunities as and when required. Huge and colossal ventures need to keep quite a few factors in mind. Marketers working with these ventures have to integrate innovative processes into existing systems. Innovation takes place at various levels, and it becomes imperative to ensure optimum scalability. Big Data prepares the ground for Contextual Marketing by making the most of Artificial Intelligence. AI and data analytics happen to be partners capable of ensuring better management of marketing stacks collectively. No matter which sector you are operating in, you will surely have innumerable competitors in the market. Why should customers opt for your service and products? What is it that makes them different? Well, personalized approaches and customized products are the key aspects in this regard. Present-day consumers look for personalized strategies. They are more likely to associate with a brand which understands their demands than with someone who is clueless about their preferences. Big Data analytics play the vital role here. By guiding marketers and helping them understand consumers, Big Data paves the path for a strong and remarkable bond with consumers. Proficient and seasoned business marketers are always looking forward to improving selling strategies. Companies and product developers have to identify the target markets. Go-to-market approaches have to be aligned with selling strategies. It goes without saying that Big Data will be instrumental in this case thus helping companies identify target markets. Even if we say it for a million times, there's no denying the truth in the statement. Content is the king, and it plays the most significant role in captivating potential audience. Marketers will have to keep track of the latest blogs, trending web stories, and relevant information. Web scraping and data analytics will be useful as they can extract the right information from these sources. Apart from information extraction, analytics can also help you fine tune existing strategies. Marketers can take a look at the most popular topics and then find out how competitors have leveraged them. Fresh data sets: Marketing individuals can tap into fresh and relevant data sources for targeted strategies. Hacking the returns: You gain targeted insights into powerful content sources thus creating them according to your needs. Public forums and social platforms are experiencing phenomenal growth, and that's not without reason. People need a place to speak their heart out and say whatever is there in mind. It's right here that customer sentiments play the pivotal role, where marketers can understand and delve deep into the nuances of human thought process. By scraping and analyzing data from the popular social platforms and forums like Facebook, Twitter, and others, you will get a sneak-peek into what consumers think about your products. When it comes to popularizing, promoting, or marketing a business venture, marketers just can’t adopt one-dimensional approaches. Their efforts should have the perfect combination of email marketing, SEO, mobile marketing, and content advertising. Data analytics and Big Data will unlock new opportunities for all these sectors. If you think for the long term, data analytics will emerge as a force to reckon with. In a nutshell, a major shift has to take place that has the power to strengthen business expansions. Marketers need to fuel organizational growth by optimizing consumer satisfaction, and the entire focus should be on building strong relationships with clients. Let's end with a piece of statistics. If the reports published in 2015 are anything to go by, the total revenue from global data market for that particular year was approximately $22 billion. The report indicated towards a phenomenal 4-fold increase in revenue size over the next four years. That reveals a lot about the significance of Big Data and data analytics. Whether you run a small firm or supervise critical operations in a colossal enterprise, data analytics will be the key to establishing your brand. You need to make a mark in the professional landscape by incorporating optimized marketing strategies into existing processes. With crucial insights and effective data analytics, your brand's future seems will be bright! Embrace the revolution named Big Data, and that will work wonders for your marketing goals.